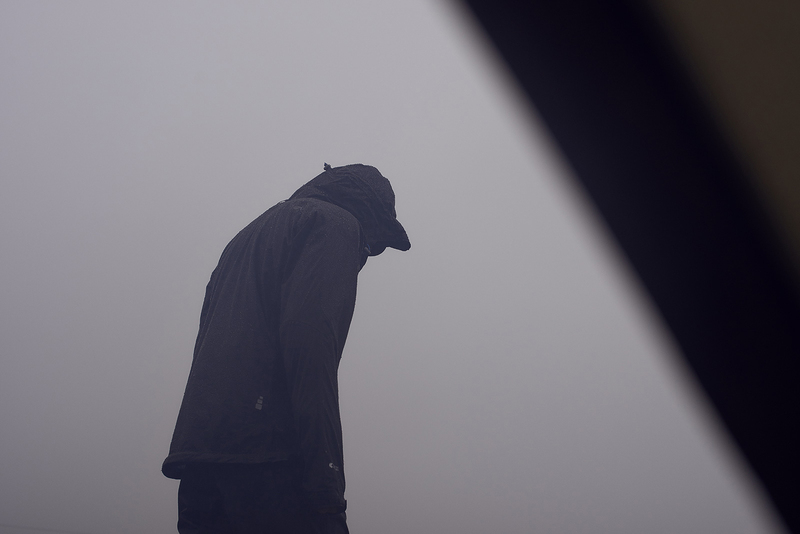 George Marshall is a London-based freelance photographer, former associate editor and co-founder of The Albion – an independent BMX magazine, and a producer/photographer at Red Bull. In an age when action shooting is dominated by feature-packed DSLRs, George captures many of his images with a medium format Hasselblad 500cm and a large format Wista 45. But, he is a modern man with an extended kit that also includes a Nikon D810, Fuji x100 and DJI Phantom drone. 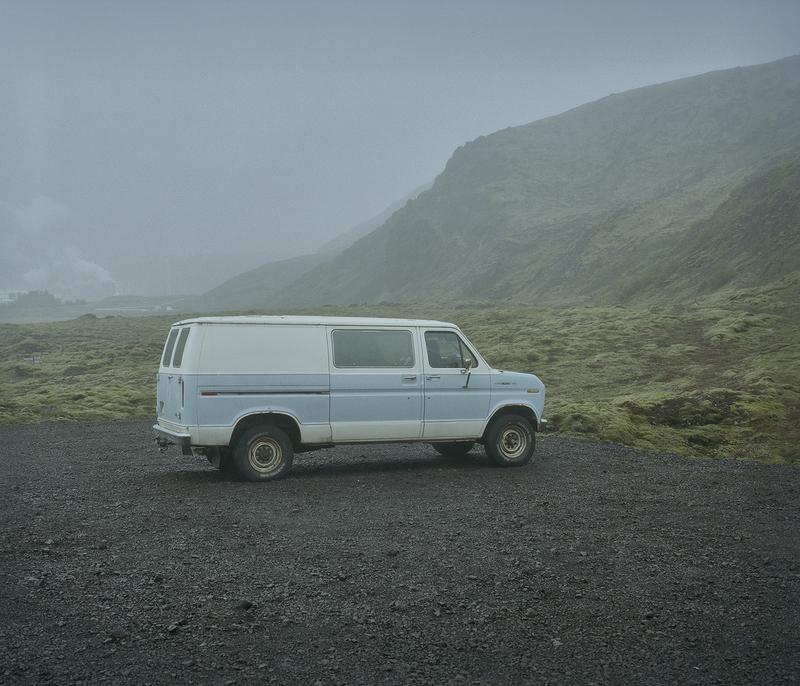 We invite you to come along on this unusual road trip he took with traveling companion Tom Donhou during a no-holes-barred adventure in Iceland. 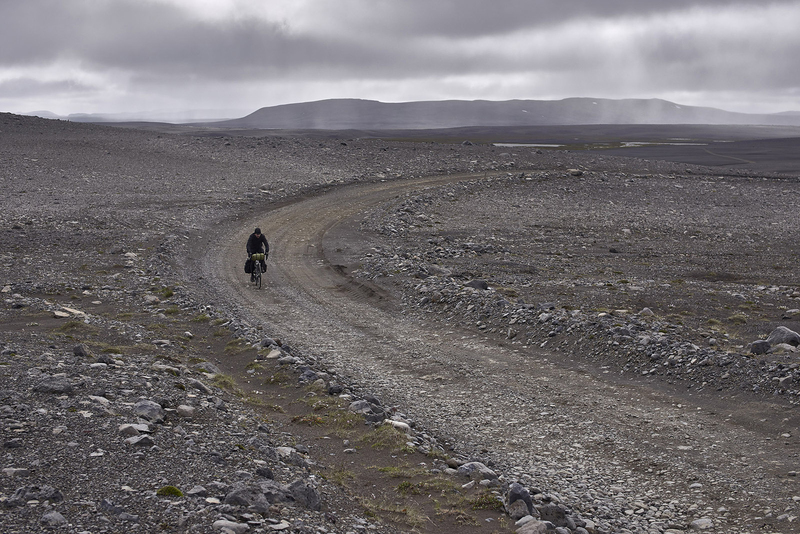 Caption: The Sprengisandsleið road is a few hundred kilometers of gravel, rock and black sand. 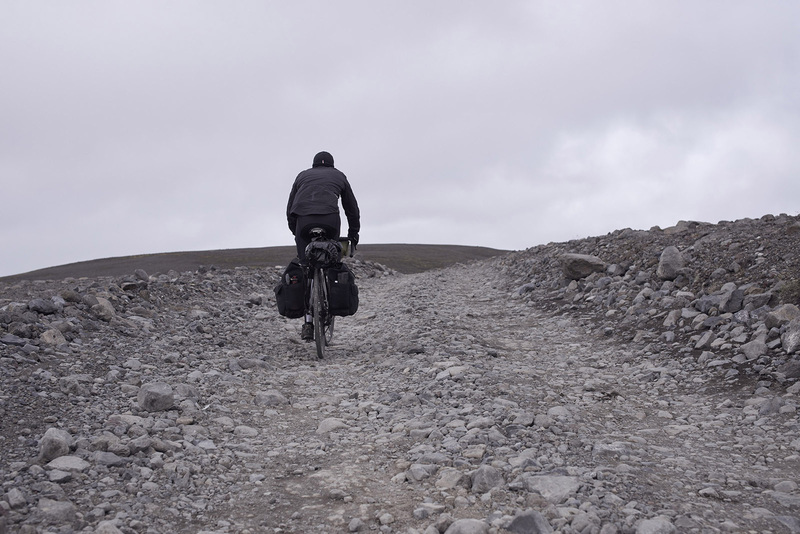 Tom Donhou and George Marshall cycled across this volcanic desert unsupported, camping each night on the rock and drinking from the glacial streams. Let’s start here. 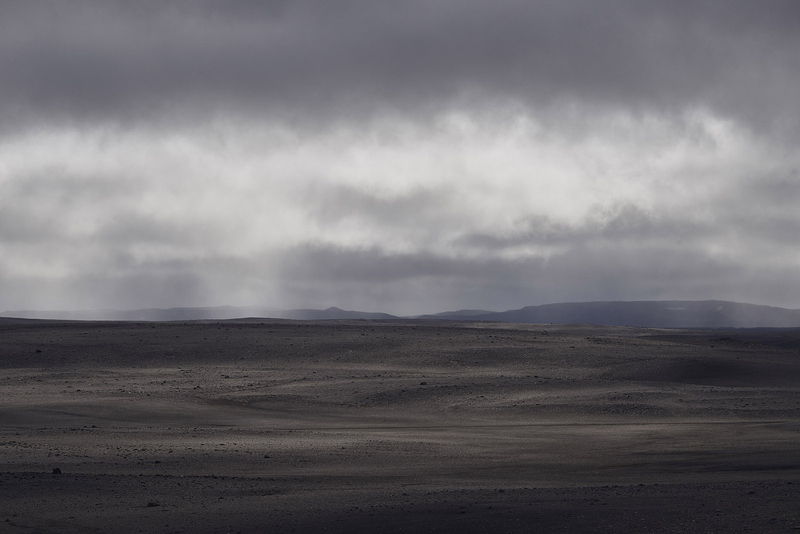 From a description on its Facebook page, the Icelandic highland gravel road called Sprengisandsleið is “a place where horses exploded in anger, when people rode as fast as it could to avoid encountering evil spirits, outlaws, ghosts or elves on the way”. So what possessed you to make this journey? Old friend and renowned frame builder Tom Donhou came up with the idea. Tom had just launched a new bike, the Donhou Signature Steel 2 or ‘DSS2’. He designed it to excel on everything from smooth roads and harsh terrain—a go- anywhere bike. Tom wanted to find the ultimate test for his new creation. 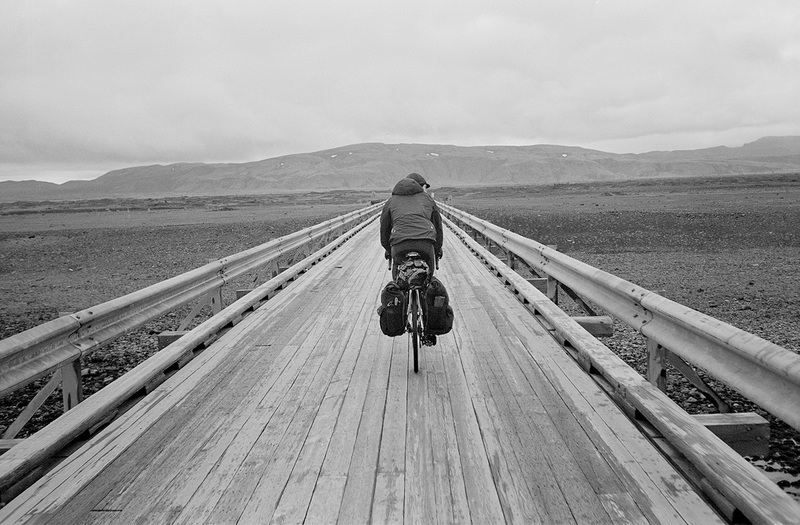 He found the challenge he was looking for and more in Iceland’s notorious gravel road, the Sprengisandsleið. The highland road is several hundred kilometers of gravel, black sand and rock that crosses Iceland’s uninhabited volcanic interior. It’s nothing but barren desert—a very harsh wilderness where nothing lives. Tom was looking for a challenge and we definitely got one. The river crossings were ice cold and deep in places. The climbs were up to 15% steep and we climbed them with fully loaded bikes. The rain was torrential. The wind was strong enough to push you off the bike; our crashes were frequent, punctures were routine, and patience was tested. I’m glad to say the bikes, camera gear and riders all survived. We suffered just a few bruises, swollen knuckles and worn-out brakes. Despite some graft [editor’s note: UK expression for hard work], we both loved every second of it. Biting off more than you can chew is underestimated. Caption: The view out of the tent on the first morning. 72 hours of torrential rain was to follow. You chose your Pro Runner as your photo bag. What did you pack in it? All the spare batteries, chargers, film, cables etc., I kept in robust dry bags within the pannier bags on the bike. Fully loaded, the bag was very heavy. So I often secured the Pro Runner to the pannier rack on the bike. Along all camping equipment and clothes, it was very heavy; cycling felt more like wrestling. Caption: Ice-cold glacial river crossings were a daily occurrence. Some were shallow; others were not. Bikes and equipment had to be carried across for the latter. You tricked it out a bit for extra weather protection. How did that work for you? For the first three days, we experienced relentless torrential rain. We were camping every night, so keeping myself and the kit dry was a battle. I had an old Pro Runner at home in which I cut the weather protector from so I could double up the outer protective layer. I also bought a large, heavy-duty dry bag to store the Pro Runner, but I never used it as the doubling up method was very effective and my kit stayed dry. I did the same for my body. I wore three expensive waterproof jackets and kept dry; less can be said for my hands and feet. Caption: Despite having a DSLR and medium format cameras in his bag, he favoured his cheap 35mm point and shoot film camera for easy access and shooting from the bike. How did you decide when and what to shoot with your 35mm vs. your digital camera? When the weather was really bad I shot with my Olympus MJU ii 35mm film camera just because it’s cheap to replace, quick to access from my jacket, and quick to use. The Fuji medium format camera is my preferred camera, but it was deeply packed away. And being a range finder, it takes a while to focus and take a light reading. To shoot either my digital or medium format cameras, I would have to stop for at least 15 minutes, take gloves off, put the heavy bike down, undo endless zips etc. etc. ; whereas with the 35mm, I didn’t even stop riding, often shooting from the bike. We had to cover a long distance each day, so constantly stopping wasn’t an option. I only stopped and got the digital or medium format out if it was really worth it. 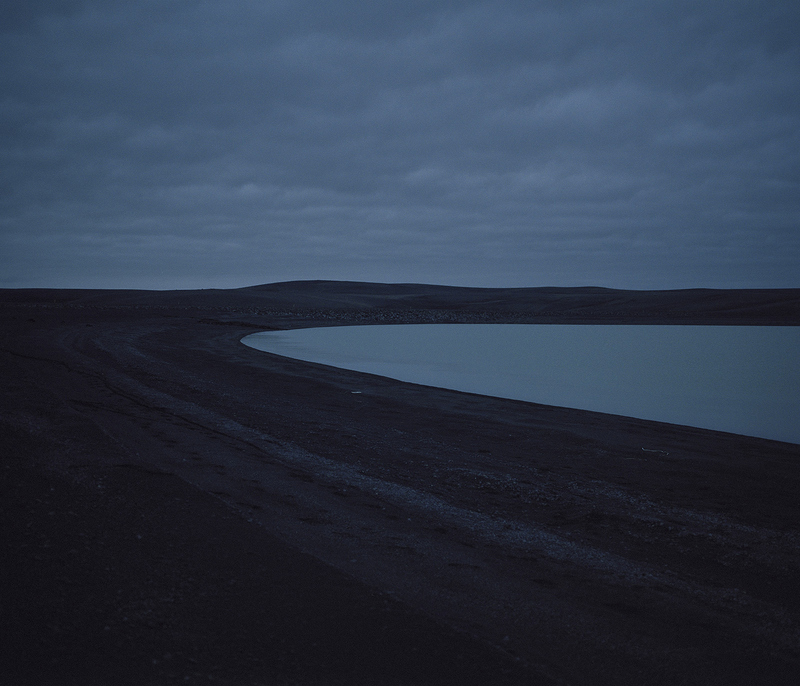 Caption: Dusk at a volcanic lake, 200km or more from anything, shot on a Fuji GF670 medium format camera. The Sprengisandsleið has countless glacial river crossings. Some have bridges, but most are fords that vary in size. 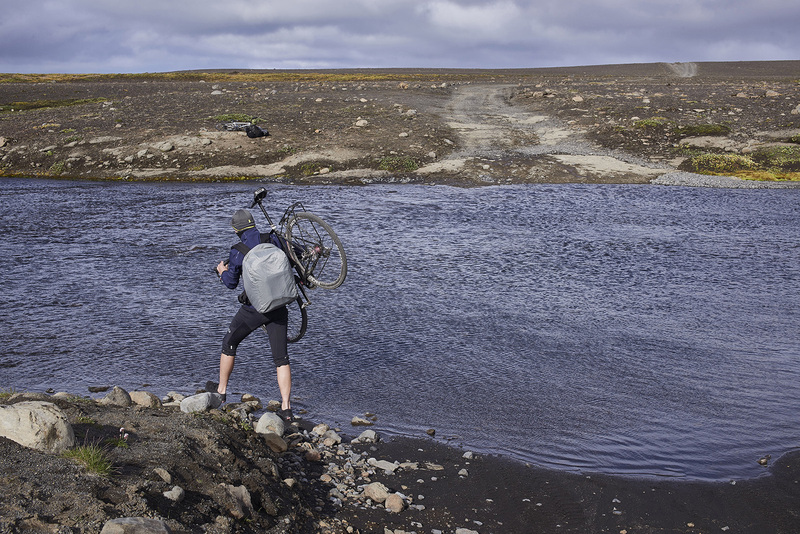 Some you can ride through, others can be more treacherous and require you to wade through the fast-moving, ice-cold water. On those occasions we took all the luggage off the bikes and had to do the several trips across. It was paramount to keep the luggage dry, especially the sleeping bags. A wet sleeping bag would mean a cold night’s sleep and lead to illness, which isn’t an option 200 km from help. Caption: The last stop before entering the desert was a luxury hotel to get some water. We’d been cycling for three days in rain; we were cold and wet. We stood in the entrance hall watching wealthy people sip hot chocolate by a fire, as we waited for receptionist to fill our bottles. This photo Ford Econoline van was taken outside that hotel. Craziest experience you did not anticipate? I didn’t anticipate the loneliness. We rode for four days and didn’t see anyone but the very occasional 4×4 vehicle with giant monster-truck-style snow tyres. We were completely alone, 100s of kilometres from anything. Our phones were dead. On the third day I saw a fly and realised it was the first living organism I’d seen in days. Nothing lives up there; the ground is too toxic for any plant to grow apart from a very brightly coloured and hardy moss. There’s nothing but rock and the road ahead. The other element I didn’t preplan for was the wind. We spent two days in a ferocious windstorm. At times the wind was so strong you couldn’t even walk in it, and all you could do was lie low. Our tent poles bent and snapped one night and we had to find shelter behind a large boulder. When riding, the bike’s pannier bags acted like sails. When the wind was behind us, we’d be flying uphill with the brakes on, but if it was a cross wind, the bike was hard to steer. I crashed four times in 100 metres on one particularly bad ridge. Thankfully, all the gear was undamaged. What’s next on your project list? Right now I’m enjoying being at home after four-to-five months of back-to-back trips round Africa, the Arctic Circle, Japan, Iceland and endless short trips round Europe. I’m catching up on all the lesser glamorous jobs that have gathered up while I’ve been away. My next projects will be scrubbing the bath, tiling the kitchen and doing my tax return. Looking to next year, I just applied to enter a 4,000 km bike race from Belgium to Turkey. Once again I’ve bitten off more than I can chew. Caption: The road was an ever-changing patchwork of rock and sand. Here Tom Donhou climbs up one of the rougher parts on his bike fully loaded with equipment. Caption: Punctures – a daily ritual. 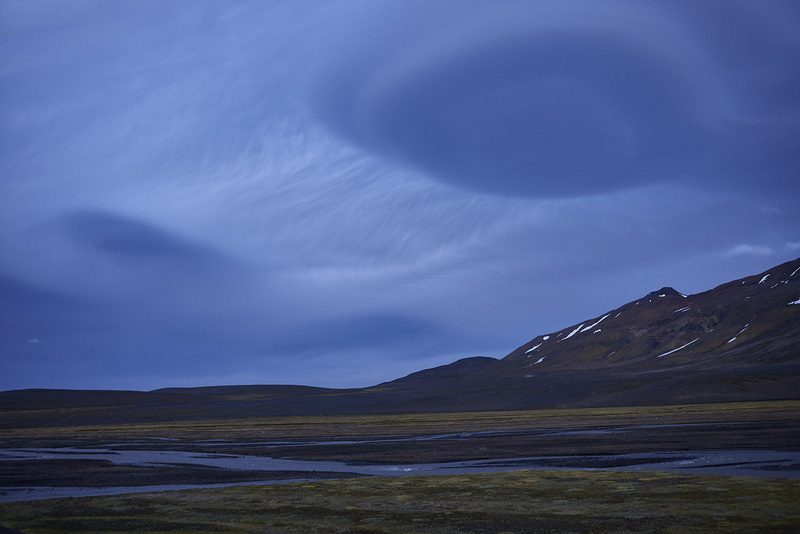 Caption: Storm coming – normal weather for Iceland. The drone was grounded for 95% of the week-long trip.